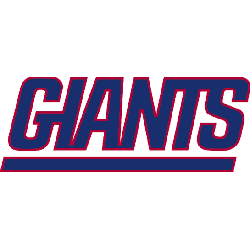 The Giants could easily have Darnold at QB and Bell at RB right now IF the Giants drafted Darnold last year and signed Bell this year (with the money saved on Eli Manning's contract). That is not even close , of course its Darnold and Bell . and the 6th pick- he moved up and took Darnold. Hmmmm... SuperBowl winning, Hall of Fame, legend QB and a dominant young rookie, vs Mark Sanchez 2.0 and an overpaid malcontent? Hard choice there. Wow , you are ridiculous . Well, apparently, you're the only one that feels that way! "The thing that makes him (Saquon Barkley) different is he has the feet and speed of a little guy, with the power and strength of a big guy," Gettleman said. "That’s what makes him so darn unique. He’s different. It’s like he was touched by the hand of God, frankly." Oh, now we have a second delusional voter! It's called holding people accountable. Something that nobody seemed to have a problem doing with the previous GM. How come Barkley and a rookie QB either this year or next is not an option? the question is the reality of the situation of the moment. If your going to add a rookie QB for the giants, are you going to add the pass rusher the jets are drafting ? Because a QB this year will be inferior to Darnold. A quarterback next year won't be in full gear until 2021, when Barkley is in his fourth year. Just who and how are you holding anyone accountable ? All we are doing is expressing our opinions. The question is pretty skewed in my opinion. You're pretty much putting Eli and Bell up against each other and Barkley up against Darnold. For a year I'd go with Eli and Barkley. 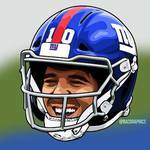 Long term being a Giant's fan I'd hopefully go with a new QB and Barkley. I'll give you Darnold should continue too improve but Bell is not going to have that Steeler's OL in front of him nor is he going o have AB to take some attention away from him. Wouldn't it be something if Darnold became king of the check downs now with Bell. Just who and how are you holding anyone accountable ? If you have to ask who, then...you're not paying attention. Yeah, but he'd have OBJ to take some attention away from him here. Because a QB this year will be inferior to Darnold.